So last night I managed to get into a PUG group for both the 10 and 25 man Vault of Archavon. Sadly no drops for me which is a horrible, horrible, horrible shame because I really could use a Hateful or Deadly piece of arena gear! while talking to a GM this weekend. #1) The Vault of Archavon resets every Tuesday not on a regular day based timer. So you can run him Monday night and then again Tuesday, or if you already beat him Tuesday you won't be able to run it again untill the following week. #2) The Victory in Wintergrasp daily PvP quest shares it's slot with the daily "win in a specific BG" quest. Once you accept one of them the other will not be available. So, if you accept and turn in Victory in Wintergrasp, you cannot go up to an NPC and get Victory in Allterec Valley (for example)... and if you turned in Victory in Allterec Valley earlier that day you won't be able to pick up the Victory in Wintergrasp later that evening..... These reset the same as all daily quests so they'll be available again tomorrow but you'll have to pick one or the other, not both. If your faction controls wintergrasp you have access to this raid instance which consists of 4 guardians and the main boss. Assuming your group doesn't wipe it usually takes longer to form the group then it does to do the instance. People say this is the easiest raid you're going to encounter for WOTLK, I don't know as i haven't done any other raids but it sure is the fastest. It's pretty much spank and tank but the boss is on a 5 minute timer - if you don't kill him in 5 minutes he goes into berserk mode an one shots everyone. It's a good idea to try and get a group going as this guy drops DEADLY gladiator gear on 25 man and HATEFUL gladiator gear on 10 man. In the 10 man you'll want 2 healers 1 main tank and one off tank. The rest DPS. Ran 25 man voa. There were only two pallies in the raid. 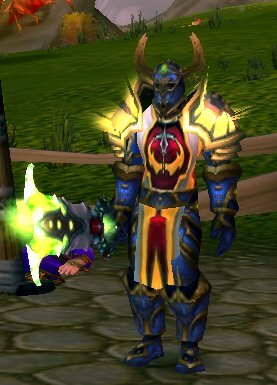 Pally pants dropped! The other pally immediately rolls and gets 14. hahahaha. it's all mine! I casually roll an epic 6. I remember one time in Heroic Steamvaults I NEED rolled a 1 can you belive it? Winter fashons - Savage Saronite anyone?